Since it was founded in 2008, Airbnb has offered guests a more authentic travel experience by allowing them to stay in the homes of locals instead of corporate hotels. Now, the vacation rental site is looking to infuse that same experience into the rest of your trip, The Verge reports. Earlier this week, Airbnb launched Guidebooks, a new feature that allows Airbnb hosts to recommend their favorite restaurants, bars, and attractions nearby that may not be listed on other tourism websites for the area. As the company's CEO, Brian Chesky, tells The Verge, living "like a local" is what 86 percent of users cited as the number one reason they would rent from Airbnb. The new feature is the company's attempt to steer travelers away from so-called "drive-by tourism" while vacationing in a unfamiliar place. In addition to taking cues from recommendation sites like Yelp and TripAdvisor, other updates from the company feel inspired by online dating. Their new "matchmaking" algorithm aims to better pair guests with hosts by analyzing user profiles and search histories. Based on this information, users will be shown the listings that are most relevant to them. Between 2010 and 2015, Airbnb's summer reach grew 353 times in size. This is bad news for the hotel industry, and it looks like travel recommendation sites will be the next business to face some stiff competition. 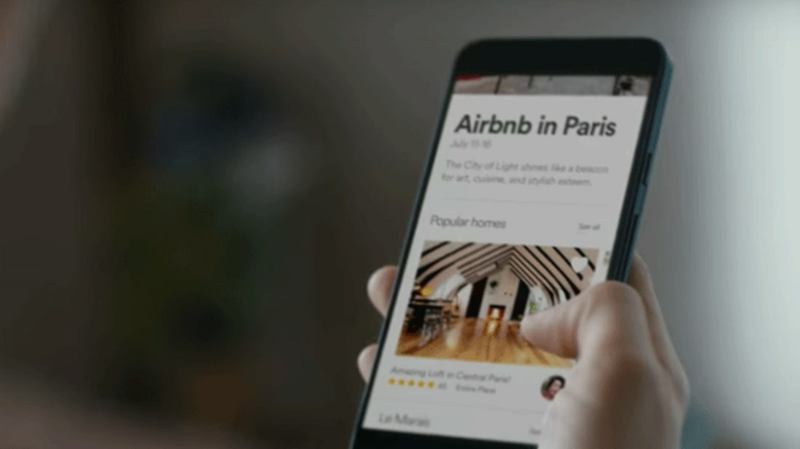 The app's new features were introduced in select cities this week, and Airbnb will continue rolling them out through the summer.